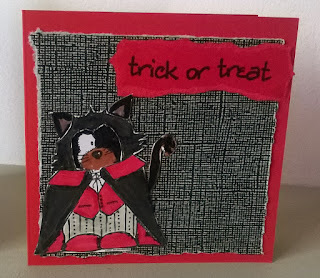 Home is where the craft is.....: Trick or treat? 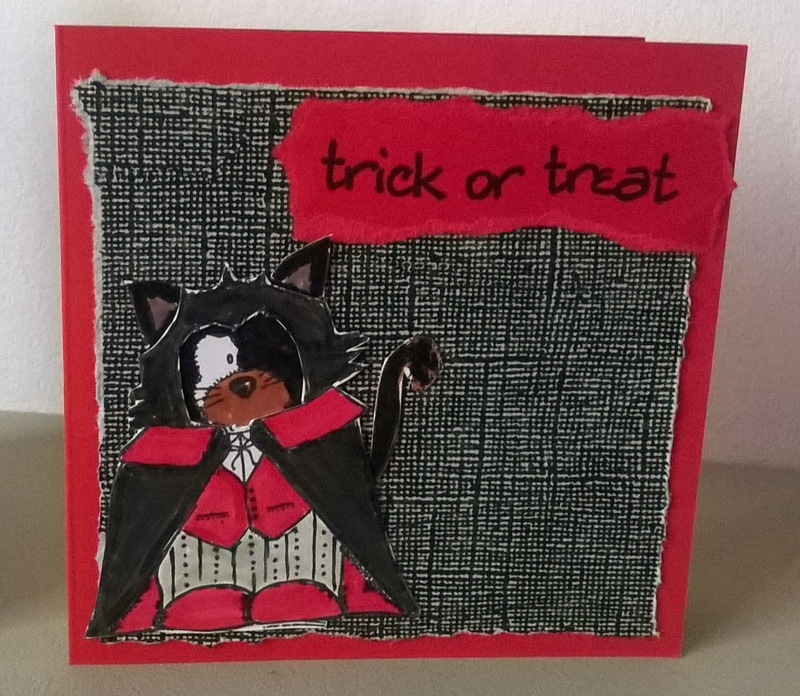 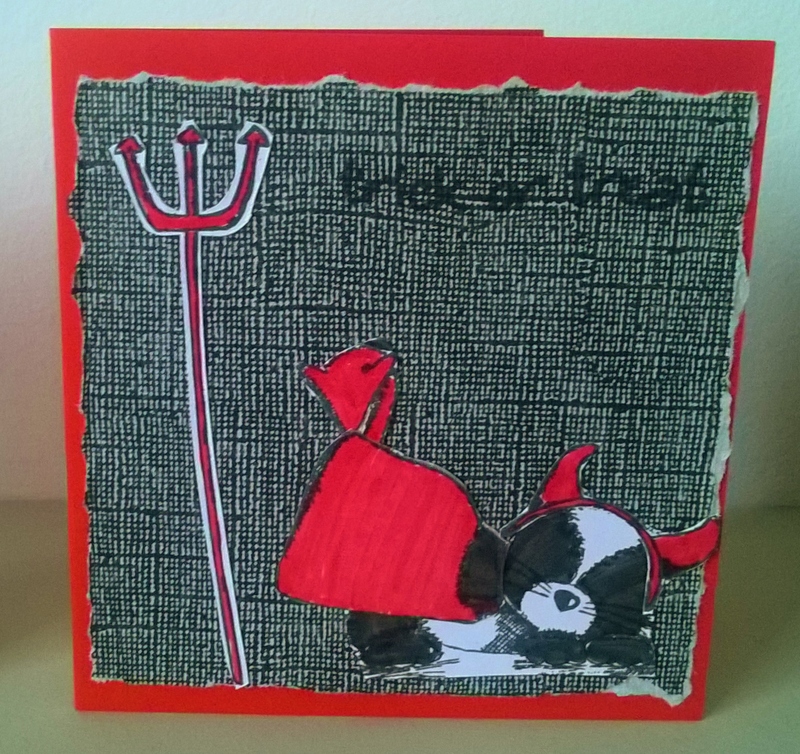 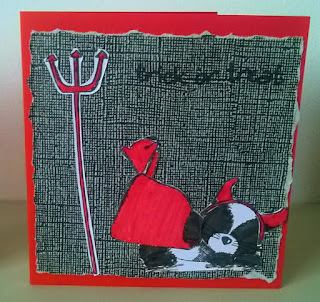 So today I've been busy with my girls making some Halloween cards for their friends and family. 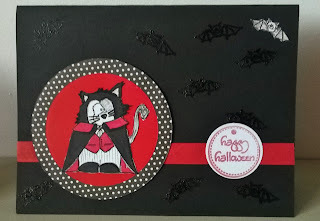 As you may have worked out by now I eat, sleep and breath craft but for my youngest daugter there are just a few time of the year that she like to craft, one of which is Halloween. 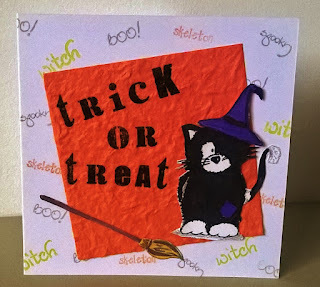 Our first card is a cute little card made with the Pumkin and Aubergine stamps from the Daisy and Dandelion range from docrafts. 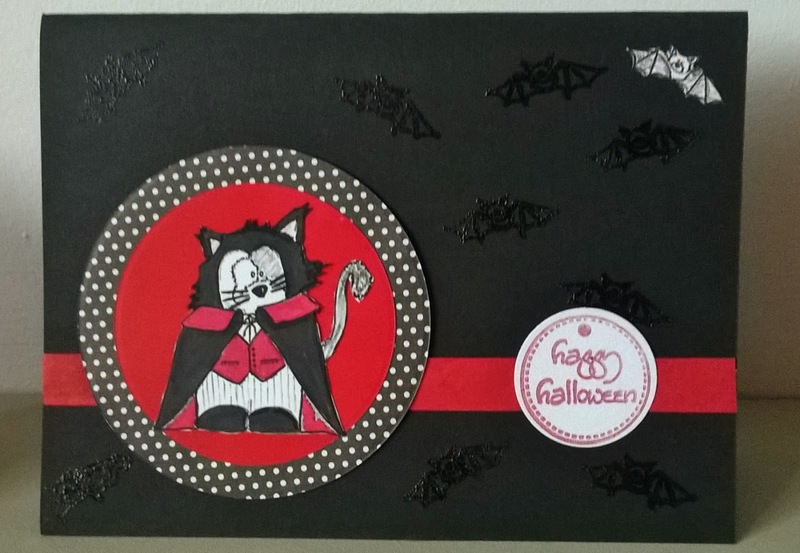 The bats in the background are done with clear embossing powder. 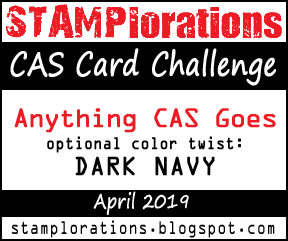 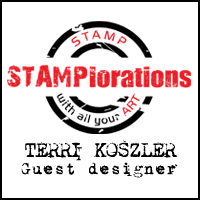 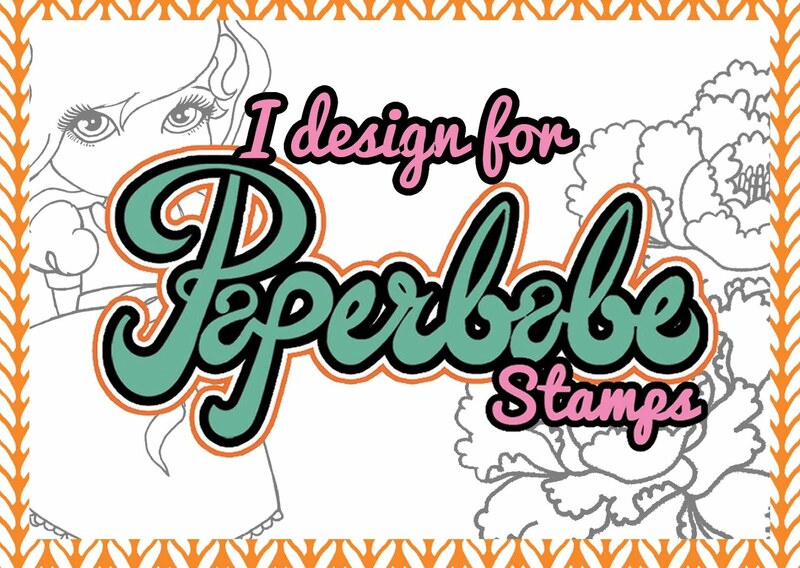 This next 2 cards were made with some coredinations card stock and the stamps mentioned above. 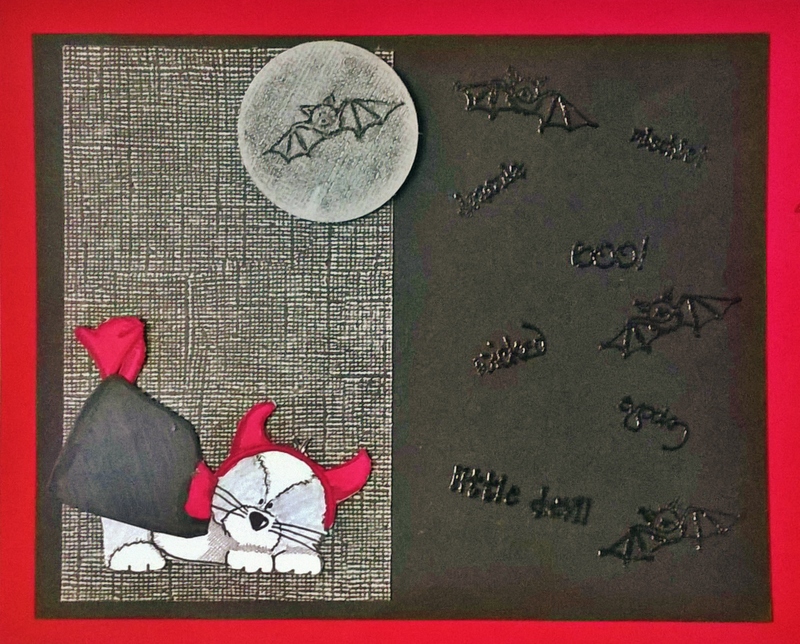 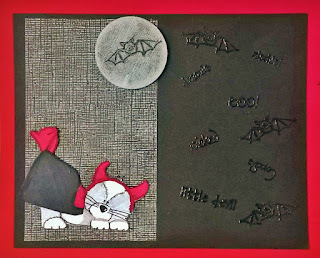 This is one of my favorite cards, I love the way the little cat is taking a nap under the moon before a big night of trick or treating.